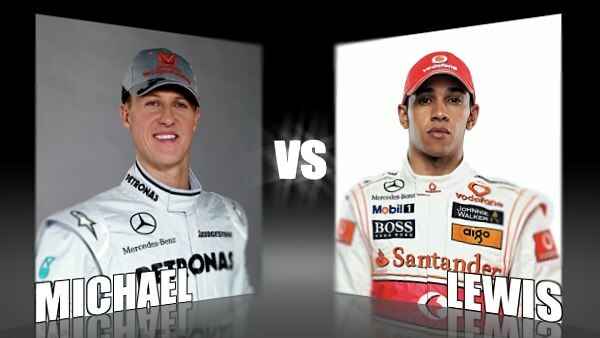 Character Cup - Round 2, Michael Schumacher vs. Lewis Hamilton // How close will the next round of our F1 personality contest be? The Button/Barrichello matchup was a close one, swinging one way and then the other - will this one be the same? We've got the seven times world champion Michael Schumacher facing up to the youngster who always wanted to drive against him, and now gets to compete against him in a whole other arena - Lewis Hamilton. Schumacher has been in the spotlight recently, as the team orders row rears it's ugly head once again. There's no denying the man has had his fair share of bad press, but that just means there's plenty of character there to dissect - the question is, is it enough to see him through to the semi-final? He beat de la Rosa in the first round, and it was relatively close - how will he fare against Lewis? Hamilton took an impressive win over Force India driver Tonio Liuzzi in the first round, with just less than double the votes of his competition. Today, the McLaren driver faces Schumacher, and considering how controversial the pair of them are, it's going to be an interesting vote. Where will you place your vote today?